Debt help companies are often the first point of call for people with unmanageable debts. Reputable debt help companies should put the interests of the debtor before their fees, and there are some free to use debt help agencies. When trying to find a debt help company it is helpful to know the good from the bad. There are many debt help or debt management companies advertised on the internet and in newspapers. Not all of these companies have the best interests of the consumer at heart, and many are more focused on sales and bumping up their own profits. The Office of Fair Trading (OFT) recently gave 129 debt management companies the ultimatum of cleaning up their act or losing their licence. Debt help companies may hold a consumer credit licence but this does guarantee the best service. The advertising will be a clue as to whether a debt help company can actually help. Many debt help companies will make exaggerated claims. This will include claims such as the ability to wipe out debts easily without having to pay a penny. If it was so simple to wipe out all debts then the UK would no longer have an increasing consumer debt problem. Many debt help companies will also hide the fact that they charge a fee for the service they provide. The OFT also found the debt help representatives were giving inaccurate information and were not fully aware of the complaints process laid down by the Financial Ombudsman. Many debt help companies have been taking advantage of the economic climate and the fact that personal debt is increasing in the UK. People are becoming increasingly desperate for help over their accumulating debts and succumb to exaggerated debt help advertising. This is driving people to pay out large fees when help can actually be free of charge. Many debt help companies are also offering loans as a way to help debtor’s clear current debts. For people already in debt, the loans on offer will be high interest and will also come with additional fees for the debt management company. Reputable debt help companies should not charge simply for providing advice. 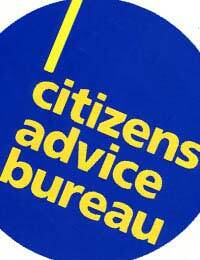 The national debt help agencies will provide advice and information for free. In a number of cases there is nothing a debt help company can do that the debtor cannot do themselves, without paying fees. Debtors can contact creditors and arrange new payment plans and in some cases actually have the interest frozen for a period of time. Combined debts may seem unmanageable but always try to arrange new affordable repayment plans with creditors. There are three well known professional debt help agencies that will help debtors with their problems. The Citizen’s Advice, the Consumer Credit Counselling Service and the National Debt Helpline are all trustworthy agencies. These agencies will help consumers through the debt process and look for suitable solutions. These agencies can be all be contacted via email through their websites. A confidential and free telephone call service is also available when contacting the CCCS and the National Debt Helpline. Calls to the Citizens Advice are charged at five pence per minute but walk-in appointments are available at local offices. Debtors should not succumb to panic and simply choose a debt help company providing what looks like a quick fix debt solution. In the long run, this will simply cause more problems and add to financial stress. Consumers with unmanageable debts should remember that free advice is available through national debt help agencies.